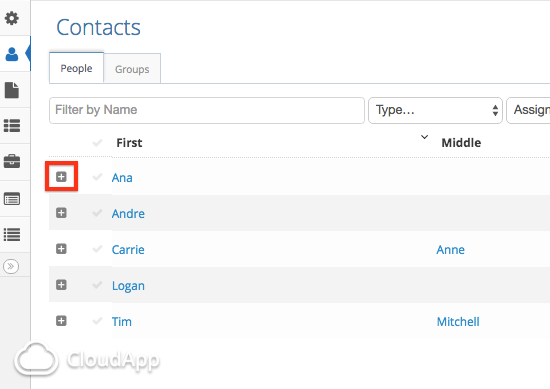 Each individual and group contact in your VerticalChange system is assigned a Unique ID (UID) when they are created. The Unique ID is a string of letters and numbers that is assigned to one, and only one, contact in your system. It allows you to pass information to your colleagues and to the VerticalChange Customer Success Team without using personally identifiable information. We take the privacy and security of your data very seriously, so we ask that you never share confidential information through email or chat with the Customer Success Team. Where Can I Find the UID? The easiest place to find your contact's UID is by going to their Dashboard, and taking a look at the URL at the top of the page. The string of letters and numbers after app.verticalchange.com/#/contacts/... is your contact's Unique ID. You can copy and paste the entire URL into any chat or email and we will pull the UID from there. In the Contact Grid you will see a "+" next to every contact's name. By selecting this you will reveal some details about that contact, including the UID next to their name in light grey. A contact's UID can also be found in the contact's sidebar, underneath their name. 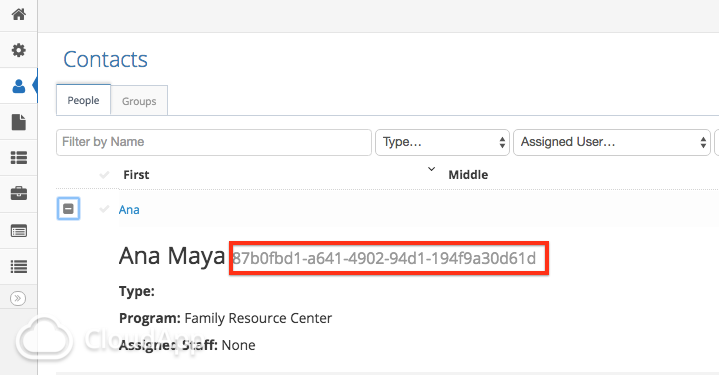 Note: This will only appear if your agency has "Enable display of contact unique identifier (uid) on contact sidebar" checked as a setting. If you do not see this, an administrator can turn this on by going to "Account" -> "Settings" -> checking the box to turn on the UID in the sidebar, then clicking "Save"
If you have any questions, please reach out to a member of the Customer Success Team.